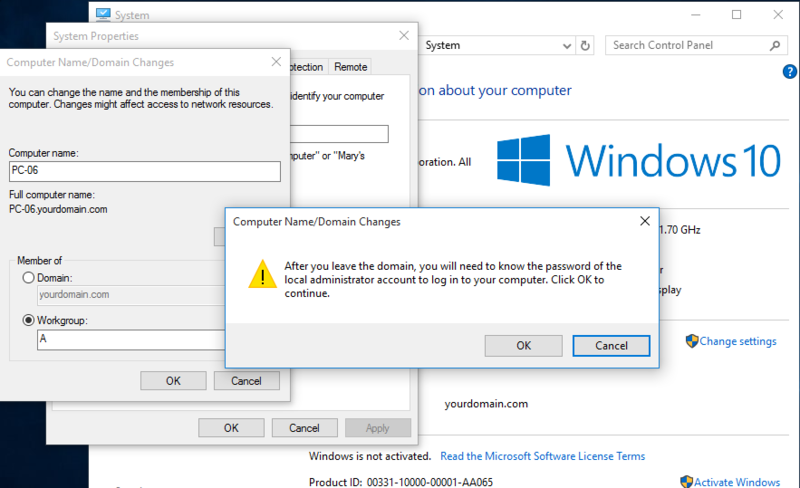 If your machine is on a Windows AD domain and you would like to move it to the local workgroup, you can follow this tutorial. Theretwore to methods, one is using GUI and the other method is using PowerShell. We look into both methods. Step 1. 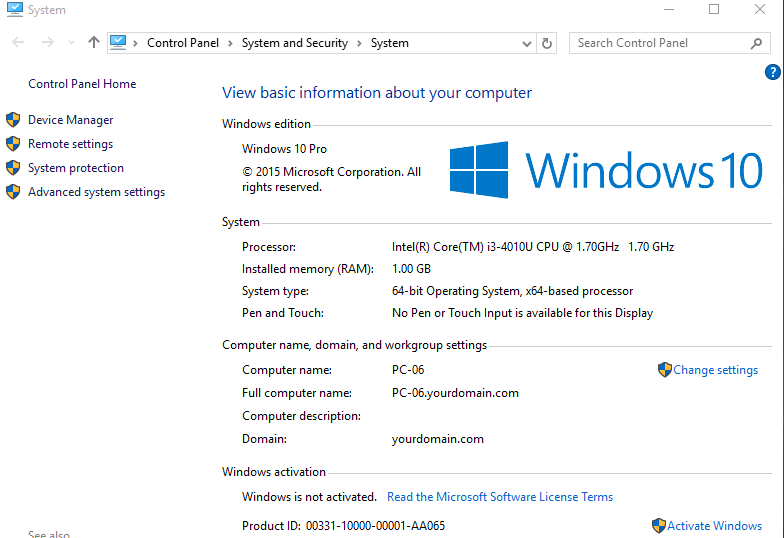 Login to the machine with local or domain administrator account. Step 2. Press windows key + X from the keyboard. Step 3. Scroll the menu and click System. Step 4. Click Change settings. Step 5. On Computer Name tab, click Change. Step 6. Choose Workgroup and provide any name. Step 7. Click OK when prompted. Step 9. You will be asked to restart the computer so that changes can be applied. Step 11. Click Restart Now to restart the machine. Step 1. Open PowerShell with elevated privileges. Step 2. Execute the following command. Above command removes the local computer from a domain to which it is joined. 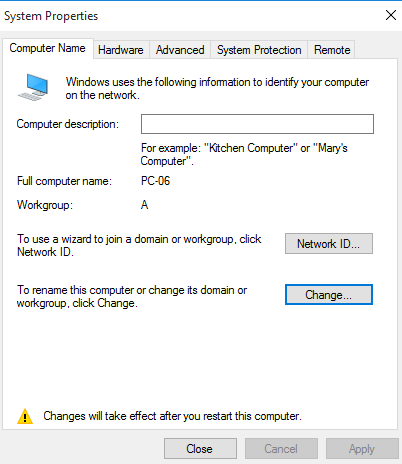 The local computer is moved to the WORKGROUP workgroup after it is removed from the AD domain because we didn't specify the workgroup in command.